With a delicate champagne toned underlay this gown is sure to wow your guests. 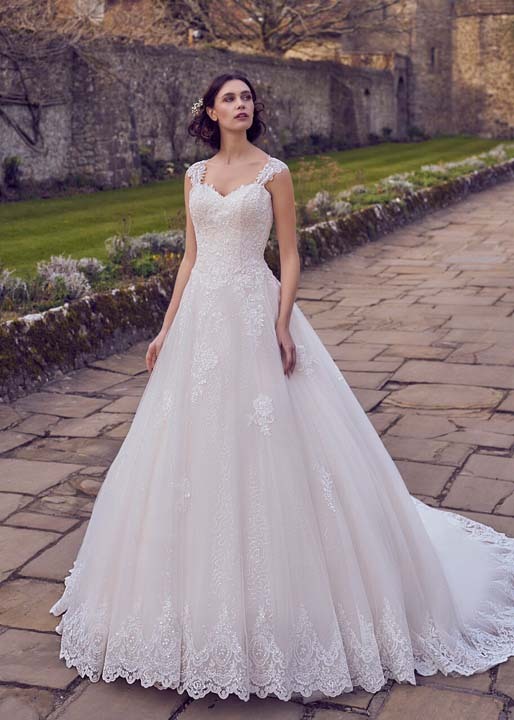 The floral lace sweetheart neckline leads down to a ball gown skirt. With added sparkle tulle layer under the skirt to give you that extra shine. Lace straps lead down to a button back and cathedral train.